Passenger in a Lyft or Uber Accident in Louisiana: Now What? While the majority of rides that are hailed through the popular ridesharing services Uber and Lyft are completed without incident, car accidents can and do occur. 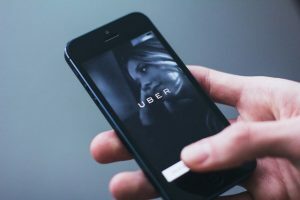 If you are a passenger in an Uber or Lyft when an accident occurs, you may be left wondering, “Who is responsible for my injuries?” Unfortunately for some, it may not be immediately clear who is liable and what you need to do to file a claim. If you’ve been hurt in a rideshare accident as a passenger, there are several different forms of insurance coverage that might be available to you. It is essential to contact an attorney first for help determining any and all policies that might apply to your accident. The rideshare driver’s auto insurance policy. Companies like Uber and Lyft require their drivers to carry at least the minimum state-mandated auto insurance limits. The rideshare company’s third-party liability insurance policy. Both Lyft and Uber have third-party liability insurance policies of up to $1 million for injuries and property damage per accident. If the accident was the fault of the rideshare driver, their own policy will usually be exhausted before this coverage kicks in. The other driver’s liability coverage. If someone other than the rideshare driver was at fault for the accident, you may be entitled to recover compensation from the at-fault driver’s liability coverage. Uninsured motorist and underinsured motorist coverage. If another driver caused the collision, you would normally bring a claim against their insurance carrier. If they do not have insurance or lack sufficient coverage, Uber and Lyft both have $1 million uninsured/underinsured motorist (UM/UIM) coverage to protect you. If you have been injured as a passenger in an Uber or Lyft accident, the best thing you can do is contact an attorney as soon as you are able. Medical bills and lost wages can pile up quickly after an accident. Make sure to save any bills, records, and any other documents related to medical treatment and rehabilitation so that you will be fully prepared to file a claim. While it might be tempting to file your claim by yourself, this could be a very risky move to make. All parties, whether they have legal representation or not, must follow the same legal procedures. All necessary forms must be filed correctly and within the required time. If any step is missed or not completed to correctly, then you could have any potential recovery reduced or eliminated entirely. Experienced injury attorneys know the process of filing claims and managing cases correctly. They also know how to calculate the full amount of losses and aggressively seek proper compensation. Attempting to represent yourself will often mean that you won’t recover as much as you could have or are barred from recovering at all. The Baton Rouge car accident attorneys of Babcock Partners know how devastating a car wreck can be. We also know how confusing it can be to figure out who exactly is liable for your injuries, your medical bills, and your missed days from work, particularly when you are a rideshare passenger. When you work with us, you will get the compassionate, knowledgeable legal help you need as we seek the compensation you are owed. If you were injured in an accident while you were a passenger in an Uber or Lyft in Louisiana, don’t wait any longer to get legal help. Contact Stephen Babcock and Chase Tettleton today by phone or online. Get Even. Call Stephen.